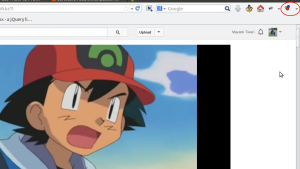 Downloading youtube videos is always fun, but without free and easy option it spoils all the fun from the task, here we are listing two ways one of them is for linux geeks, and other is common for linux as well as windows. Hi there, I am going to tell you a very simple way to download the you tube videos in linux system. Well, its not really a cool way but for the linux lovers who like to use linux terminal for even simple tasks. So here is the simplest of all. "youtube-dl"
Now to download any vide, all you have to do is type this command followed by the youtube video url. This was one simple way, but now let us see another one of the simple method which will not only work on the linux system but on windows. This one usually need only the firefox web browser. Note: In some of the versions of Ubuntu this package may not be available with default repository. In that case please use following command to add a repository and update the system and try again. Thats all and this will do the trick. Now if you open youtube and any video this will notify you that this video is available to download. See the red marker in the screenshot, If this icon is colorful that means you can now download the video. when you click the arrow in the right of this icon this will show what formats are available. Well this one is my favourite when i want to download some video from youtube. There are other options available. Depends upon you what you like.